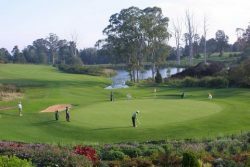 Situated in the heart of the Garden Route, near Knysna, George, Mossel Bay and Plettenberg Bay (see Google Map below for our location relative to some of the Golf Courses - click Map to ENLARGE), only four hours drive from Cape Town. 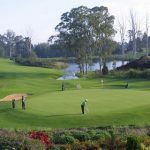 Hildesheim Guest House offers spacious, and tastefully decorated rooms and Self Catering Cottages surrounded by the beautiful Outeniqua Mountains. Come and stay with us while enjoying some of the best Golf courses in South Africa. 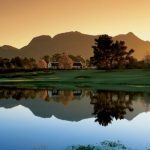 Kick off your days Golf with one of Vanessa's breakfasts whilst the sun rises over the mountains.